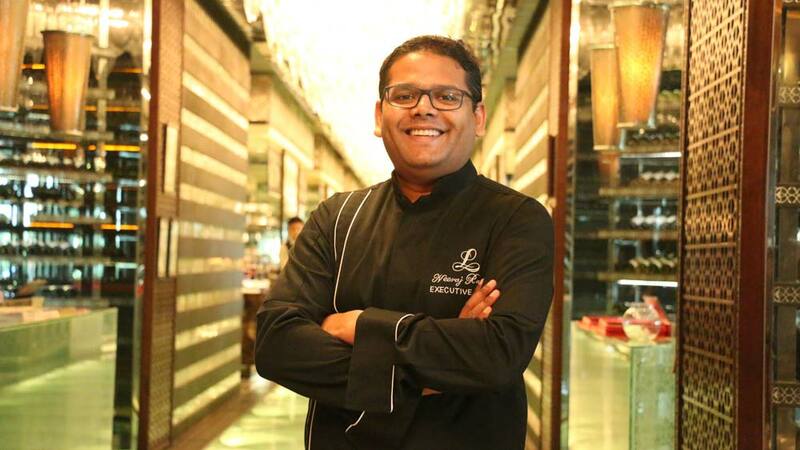 In a tete-a-tete with Restaurant India, Neeraj Rawoot, Executive Chef, Leela Gurgaon talks about the importance of fresh, local produce. Lots of planning goes into designing a good, balanced menu. As it should be fresh, relevant – crisp, easy to read and understand and of course should be profitable which the crux of you being in the business is. It starts with a SWOT analysis, where you figure out your strengths, weaknesses, opportunities and threats in alignment with your market or competition. You need to understand the Market segment you want to target – age group, nationality, corporate or social mix etc. Once you have set your targets or goals, you start writing a menu. Availability of ingredients and right equipment to produce them should be there at the back of your mind while framing your menu.The items should be written in a logical pattern and print size to be apt which doesn’t puts off a reader. We have decided to print all our menus inhouse which are going to be short, crisp and fresh making it feasible to change every quarter inorder to incorporate fresh produce. All menus to have gluten free, healthy and kid option. We are going more local and organic. We are also trying to incorporate regional, snack food as most of the Indian guests like snacking. Tell us something about the supply chain management in your hotel. Who are the suppliers? Can you name some? With big establishment like ours, we deal with small as well as big suppliers. Large houses support us with bulk products and small farmers help us with fresh, organic, local produce to be used in speciality restaurants and salad production. India is still nascent in supply chain management system and is treading towards betterment. Senses play a very important role in a restaurant. There’s nothing better than the smell of freshly brewed coffee, freshly baked croissant or a waffle in a breakfast restaurant. What you see, what you hear, what you smell or touch prepares you for the experience you are there for. Many of the top Michelin star restaurants are using the senses to enhance the experience, one being Ultraviolet by Cher Paul Pairet who theatrically uses sound, smell and visuals with every course. Indian, Italian, Japanese, Middle East, Greek, Western, Thai, Chinese and other South West Asian cuisines. With recent announcement of service tax discretion. How do you feel it will affect the biz like yours? Any change brings in bit of anxiety. Though banqueting becomes cheaper, you end up paying more if you dine in a 5 star hotel restaurant. I don’t think it will effect much as someone who comes to dine in our restaurants will come to us irrespective of change of taxes. Cigarettes have become expensive over the years but the sales have not gone down. Similarly, guests will get used to the new tax system and it will become a part and parcel of their life. How familiar are you with the legalities involved in opening a restaurant? Are you planning to open your own restaurant? I have no intention to open up a restaurant as of now, though I nurture a dream to do so in future. I feel India is not an easy place to do so which has a political and bureaucratic infrastructure. With the development of New India, my perception might change. I will learn the legalities, which I am aware of the basics, the day you take a plunge in it.